Here’s three resources we’ve used with our staff team this year that have been helpful in keeping a razor sharp focus on Making Disciples. 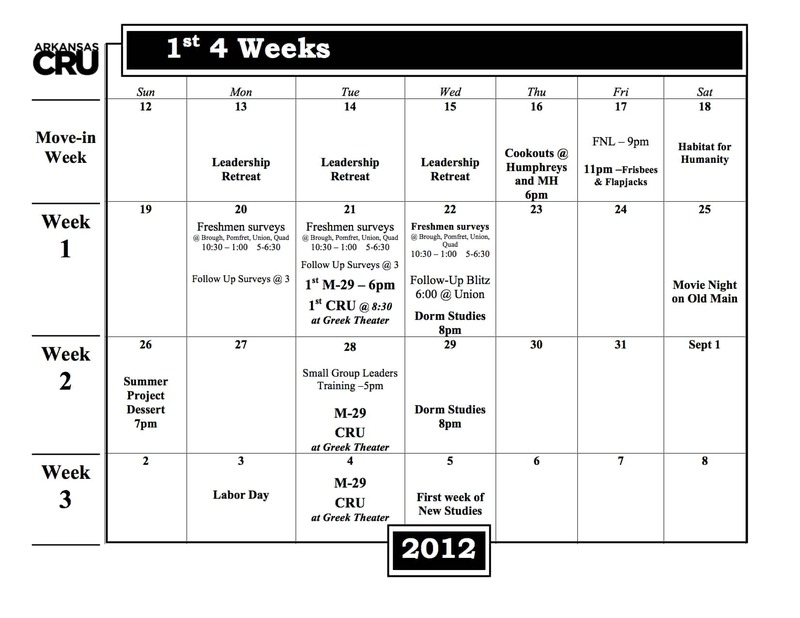 A 7 week guide for doing Masterplan of Evangelism in discipleship. It has pretty detailed questions for each of the 7 weeks so it makes it really easy. 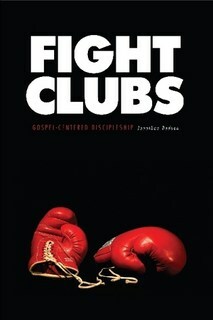 We had all of our staff read Masterplan with the people they disciple. From lost students to Christ-centered laborers in three stages – a super short (< one page) “article” that I compiled and we read through as a staff team. I asked each of my staff to do it with the people they disciple. To try to figure out where their people are “stuck”. Do they Understanding how God works (via Scripture – open their eyes to the Great Commission and His heart for the lost)? Have been invited to be a part of it? My team found it very helpful. Two Radical commitments are needed to build movements. A radical commitment to ongoing broad sowing and a radical commitment to wise selection. I use the words radical commitment because that is really what it takes. Evangelism is the first thing to go. It is so incredibly easy to be distracted from doing it because it is really, really hard. You have to do it when you feel like it and when you don’t. When there is great response (ironically can be a distraction from doing more) and when it is really hard. Over the years I have seen staff, students, stinters and myself come up with every kind of reason you can think of why not to do it and keep doing it. It is really hard and you can be rejected and laughed at and ridiculed and persecuted. It is worth it. The second thing that you have to be radically committed to is wise selection. By that I mean you being very careful in who you give your time to. This is incredibly hard for someone who has just started doing campus ministry. The reality is that it does not feel kind or nice to say to someone that you cannot spend anymore time with them. Honestly you usually never have to have that conversation, they will usually self select them out. This is so critical because you must follow Jesus model and give your life to those that are faithful, available and teachable. You have to choose to pour into those that will go on to reach the campus and change the world. When you say yes to one student you are saying no to every other student in your city. You must be committed to find the students that will go on to reach the campus. If you say yes to spend time with an unfaithful student you are saying no to the potential faithful ones. This is especially difficult to do when the soil is hard and there is not a whole pile of students to choose from. It also feels not very compassionate but if you spend time with the unfaithful you are saying that you don’t care about every other student on campus. 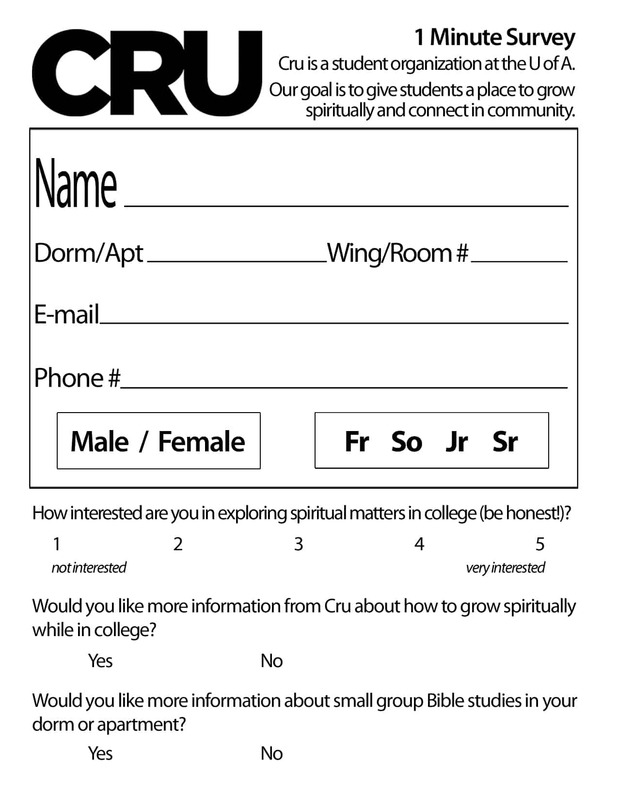 What you are really looking for are key, faithful students to lead a spiritual movement on campus. You must find and/or build these student leaders. You must select wisely. On Tuesday, September 8 at 9am PST/ 12pm ET we will be having the first ever #CruChat on Twitter. Myself (@timcasteel), Bob Fuhs and Matt McComas will be moderating the chat. Why #CruChat? Is it just for Cru staff? #CruChat is NOT just for Cru staff and students! 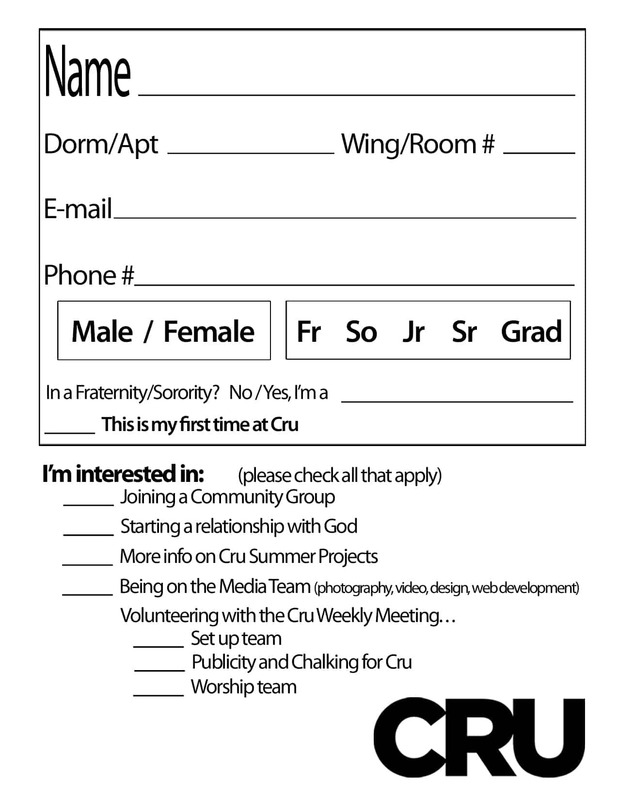 We encourage all college ministry leaders (students and staff) to participate in #Cruchat. We chose #CruChat because we want to encourage more of a sharing culture in Cru. Yes, I want everyone in college ministry to share. But I also want to specifically encourage MY organization to share. 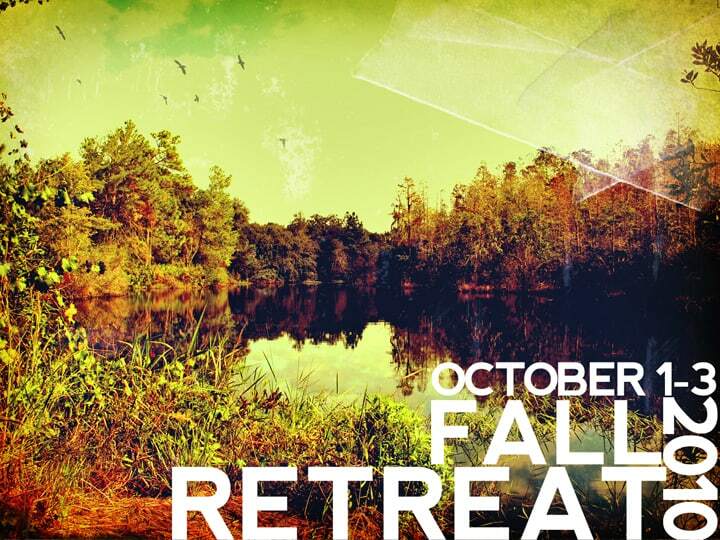 I think we will all benefit when thousands of Cru staff begin to share best practices and insight on college ministry. No one benefits from silos of knowledge stuck on one campus within one organization. We’ll have 4-5 questions that everyone can chime in on with their wisdom. We’ll all share and we’ll all learn. We’ll provide questions (preceded by a number (eg. Q1, Q2). “Reply” to respond to questions. Label your answers A1, A2, etc. And make sure to include hashtag #Cruchat in your responses. You don’t have to participate for the whole hour – If you miss any of the discussion, simply search #Cruchat afterwords to review all Tweets. We need your help! We haven’t picked the final questions for Tuesday. What questions do you suggest we all discuss on Tuesday (specifically related to surviving and thriving in the fall)? What topics should we tackle in future #Cruchat’s? What are some topics you’d like to discuss with other college ministers? 2 years ago I challenged Cru staff to start sharing better (on CruPressGreen). It’s time to beat the drum again. What if you spent 10% of your time online collaborating with others on how to get better at college ministry? 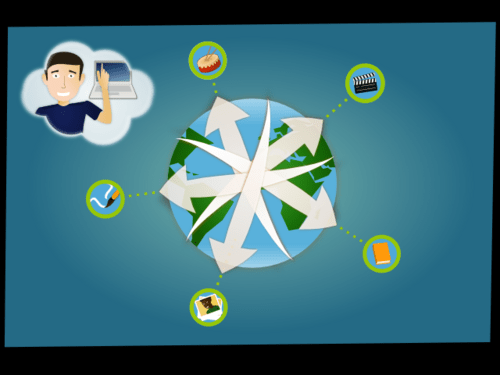 Few people set on reaching university students view spending intentional time online to learn and share with others as a worthwhile cost/benefit. I suggest every person who desires to see millions of students bringing the gospel to every corner of every campus should tithe of their time online to share tips, resources, ideas, struggles and stories. The mission can’t be executed by creating trade secrets, hoarding knowledge, or protecting resources. The platforms exist, but a mindset of collaboration doesn’t. By spending five minutes to upload the presentation from your last small group leader training you could save someone hours. Tweeting the articles you’re reading helps identify valuable insights we can all benefit from. Do you think the eternal rewards of investing 10% of your online time could be worth it and make the other 90% of time more effective? There’s probably someone who knows a lot more about reaching students than you. There’s probably someone who could really benefit from what you know about reaching students. If we’re all on the same team, for the same mission, for the same King, then why aren’t we talking? Let that sink in. Why aren’t we talking? In the last few years I’ve been discouraged to see not more online chatter in college ministry but less, especially within my organization – Cru. There have been a few bright spots in college ministry sharing – I’m looking at you Arliss Dickerson and Paul Worcester – but we could do so much better. 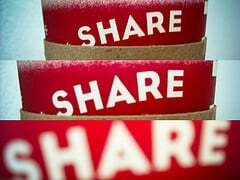 We are all consumers wishing more people would share good resources with us. 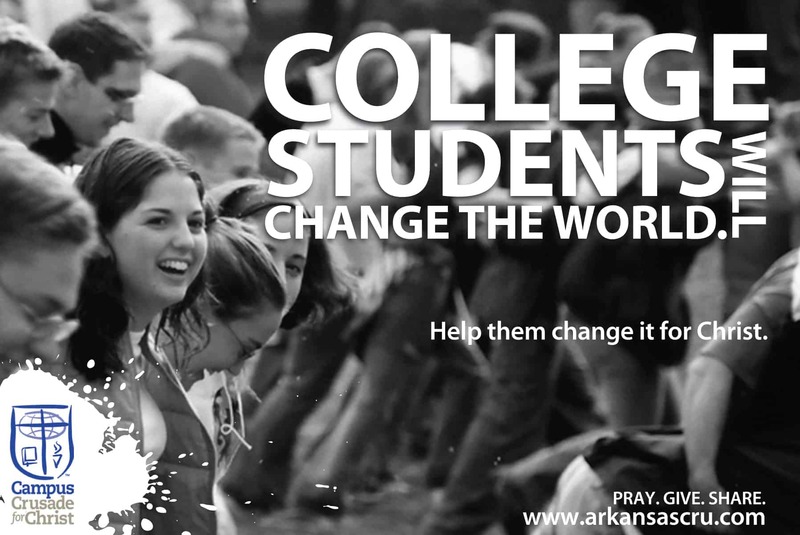 Our Cru movement at the University of Arkansas has been the recipient of incredible sharing. For years it was a one-way street – receiving great ideas but not reciprocating. Like all good investments, a minimal investment can have multiplying effects. It costs me some time to share on Twitter and my blog but I can save literally hundreds of hours for a multitude of staff to get on campus and spend time with students (instead of re-writing a talk someone has already given). Start tweeting.Twitter seems to be the best pipeline for information sharing and distribution. Set aside time every week to get on Twitter and not just consume but share. Share what you’ve found helpful. Start a Tumblr or a blog. Share dropbox links to talks you’ve given or articles you’ve found helpful. Comment on the blogs of those who are producing and sharing. Join the conversation so that we can all learn from each other. College Ministers, what steps can we take to share more? Inspired by others who have taken the time to share their thoughts/learnings/resources I thought I would stop mooching and start contributing to the conversation. Seems like everything I’ve been reading online this summer (especially within our organization Campus Crusade) has been about sharing the wealth. Love what these guys are doing – sharing the wealth and moving us all forward.